It is the mystery of our salvation that is revealed to us by the Church, and not the secrets of the universe in general which, quite possibly, does not stand in need of salvation; this is the reason why the cosmology of revelation is necessarily geocentric. 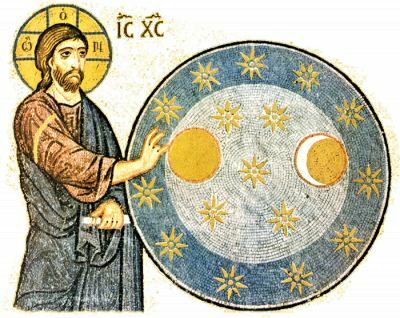 It also enables us to see why copernican cosmology, from a psychological or rather spiritual point of view, corresponds to a state of religious dispersion or off-centeredness, a relaxation of the soteriological attitude, such as is found in the gnostics or the occult religions. The spirit of the insatiable thirst for knowledge, the restless spirit of Faust, turning to the cosmos breaks through the constricting limits of the heavenly spheres to launch out into infinite space; where it becomes lost in the search for some synthetic understanding of the universe, for its own understanding, external and limited to the domain of becoming, can only grasp the whole under the aspect of disintegration which corresponds to the condition of our nature since the fall. The Christian mystic, on the other hand, entering into himself, and enclosing himself in the "inner chamber" of his heart, finds there, deeper even than sin,3 the beginning of an ascent in the course of which the universe appears more and more unified, more and more coherent, penetrated with spiritual forces and forming one whole within the hand of God. One may quote, by way of interest, the suggestion of a modern Russian theologian, who was also a great mathematician, Fr. Paul Florensky, that it would be possible to return to a geocentric cosmology on the basis of the scientific theories of our own time. It is hardly necessary to add that such a bold and, possibly, scientifically defensible synthesis has no real value for Christian theology, which is able to accommodate itself very easily to any scientific theory of the universe, provided that this does not attempt to go beyond its own boundaries and begin impertinently to deny things which are outside its own field of vision. 1. See Fr. 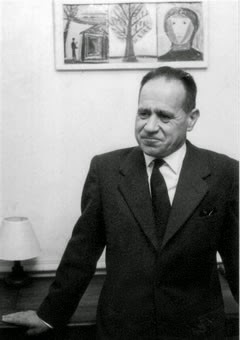 G. Florovsky, op. cit., p. 78. From The Mystical Theology of the Eastern Church (pp. 105-106).